Dan Webb, one of the first personalities on Melbourne television, has died at the age of 92. Webb was breakfast announcer at radio station 3DB before being picked up by its sister television station HSV7 as one of its star line-up, alongside Eric Pearce and actress Mary Parker. 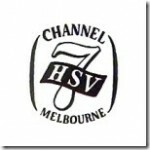 He introduced HSV7’s test transmissions and was on-air on opening night, 4 November 1956. 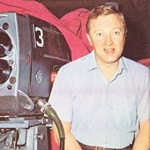 Following the station’s official launch, Webb became one of its first newsreaders, sharing duties with Pearce, as well as hosting a game show, Paterson’s Family Quiz. 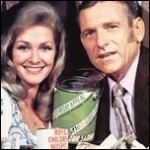 Webb’s fame was on the rise in the 1960s as host of HSV7’s popular game show Video Village. 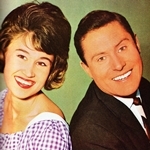 The daily half-hour program was a hit not just in Melbourne but across the country and ran for four years. On a more serious note, Webb continued to report on state politics for Seven National News and was a host of local current affairs program Day By Day. While at Seven and in retirement he was a devout contributor, supporter and ambassador to the Royal Children’s Hospital Good Friday Appeal. 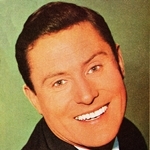 A presenter on Seven’s first Good Friday Appeal telethon in 1957, Webb made his last TV appearance on last year’s appeal. 28 June 2008 YouTube: Seven hit by Sydney cold-front! Does anyone know if Dan had children etc ? Sympathies to them if he did. He seemed a very private man and a gentle soul. My understanding is that he was married with children. I was looking at Google to find out if Dan was still alive. To my sorry I read of his death. Pity that 7 are devoting less time to the appeal now with it only being in the afternoon and evening. They have dumped the morning side of it.